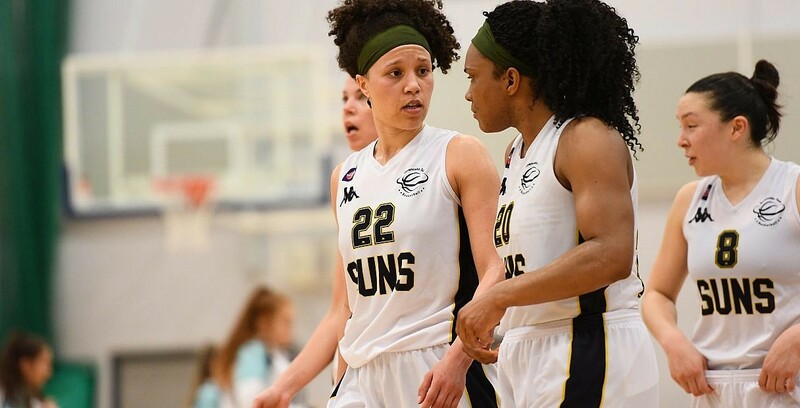 They were the two leading contenders for the WBBL Championship title last year and eventual champions Sevenoaks flexed their muscles early this time around with a dominant victory. Suns started quickly and never had cause to look back as it proved to be a disappointing for game at the helm of Riders for new Swedish head coach, Jesper Sundberg. Turning point – There wasn’t one as Sevenoaks jumped out on Leicester from the opening period and continued to soar. Key stat – It’s hard to look at Riders shooting stats without wincing. Tough opening night and didn’t find any rhythm. Game hero – It was a real team effort by Suns as usual, but typically, Cat Carr led the way with 21 points.